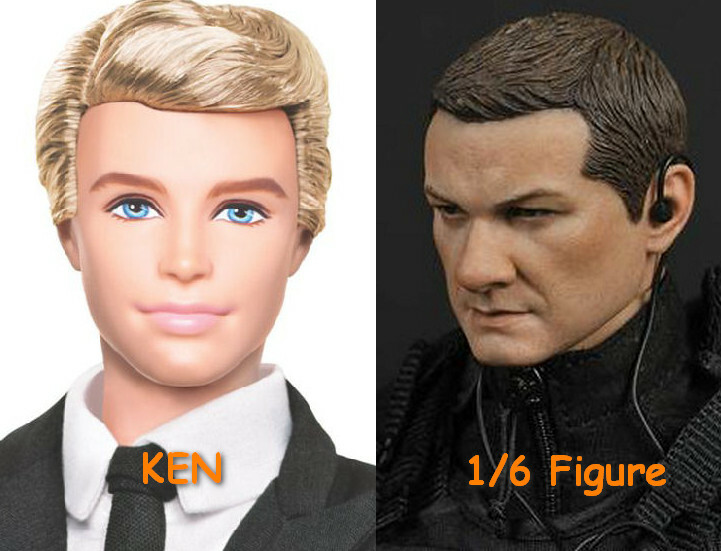 I always thought that 1/6 figures are the same as “Ken” from Barbie Doll toys series, except those “ken” are wearing tactical suits and equipped with deadly weapons. Until 18 months ago, I met my first 1/6 figure, Soldierstory FBI Critical Response Group and the face sculpt is incredibly realistic and detailed (can even notice the pores on the face). The figure was simply too COOL to resist and I paid $200 for it and spent 3 hours to put on the gears and weapon on the toy. I started collecting only soldier figures who are in black tactical suits and I bought 6 within 2 months. 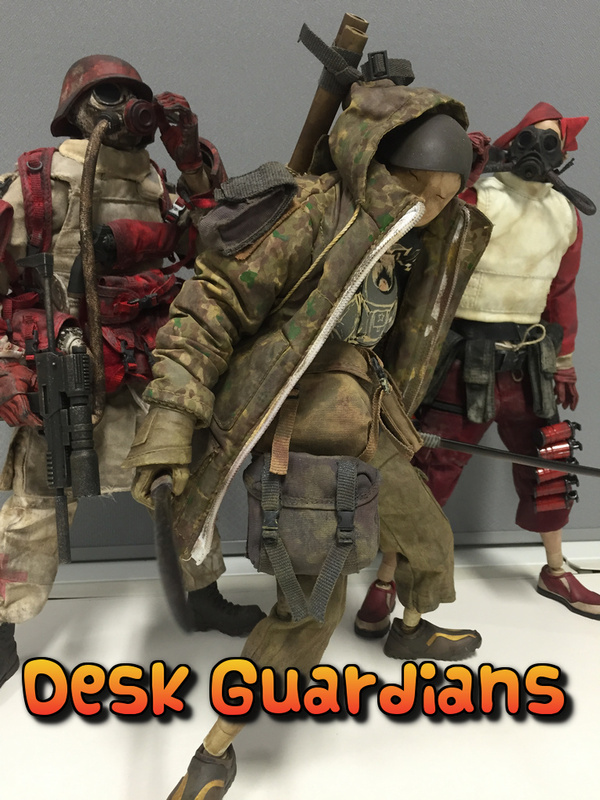 Subsequently I started collecting various kinds of 1/6 figures, ranging from soldiers, movie stars, comic characters and blockbuster movies characters such as Ironman, Captain America, etc… Currently I’m owning about 40 figures and only 12 are on display (3 of them serve as my desk guardians in Titansoft office). Why only 12 are displayed? Well, properties in Singapore are too expensive and I can’t afford bigger house to display right now. The 1/6 figures are usually sold as a box sets. In order for the collectors to play around with the figures and try out different poses for photo shoots, the box sets usually consist of huge variety of equipments/ weapons which the figure can’t handle at once. Ultimately the figure will be displayed in the cabinet with just one set of equipment/ weapons and the spares items are left in the box. Collectors who owned multiple figure will ended up kit bashing. What is Kit bashing? Kit bashing in this context, is a process to customise a 1/6 figure using equipment/ weapons from other box sets. The process usually involves scavenging the spare items from the owned box sets, creating equipment (requires fair bit of scratch building skill), purchasing loose items from other box sets, purchasing head sculpts and bodies. Hot Toys – Recommended for collector who love to collect characters from their favorite block busters. Hot Toys produced an array of movie masterpieces modeled according to characters in ironman, avengers, GI Joe, Captain America etc… Currently they are producing the Star Wars characters. Mostly their figures are clean look with minimum weathering effect. ThreeA – Most of the toys are designed by Ashley Wood and mainly on his POPBOT and WWR comics. It is recommended for collectors who are interested in weathered (rugged) looks. sideshow – Mostly produce star wars, GI Joe (comic/ cartoon version). SoldierStory, Damtoys – Mostly are modern special ops soldiers. I’ll recommend SoldierStory over DamToys, due to their commitment to deliver high quality product to collectors. SoldierStory do not only delivers quality, they do deliver realistic replicas of weapons/ equipment on their toys. One good example, their rifles are spring loaded and enable collector to do clocking actions like the real rifle. I’ll say Toys are still Toys, just buy what you want to display or play with. Most of the toys has no actual investment value. This entry was posted in Titansoft Culture and tagged SG 1/6 figure, Singapore 1/6 figure, Singapore 3A, Singapore Hot Toys, Singapore Toys on July 30, 2015 by ZhaoXin.